We at Fusion Locksmiths Zetland want to ensure that your home and your loved ones are safe and secure. Your security matters to us, and that is why we always provide you with the very best service for the very best price. Fusion Locksmiths are a family owned company, and because of this we completely understand how important it is to keep your family safe and secure. We know the importance of protecting your home, and we will make sure that your property is as secure as possible. We provide security for all properties including door, sliding door, boat and car locking systems. No matter what your lock problems are, we have you covered, and our relationships with the best lock manufacturers mean that you’ll always have the best hardware for the best prices. It doesn’t matter what time of day or night you have a security problem, our expert locksmith service in Zetland is here to help. Our locksmiths in Zetland provide a 24/7 emergency service that means you can get a response from our expert locksmiths at any time of the day or night. Because Fusion Locksmiths are local, you won’t have to wait long for one of our master locksmiths to arrive on the scene. With our service with a smile, you’ll have your issues sorted out promptly and expertly by one of our Zetland locksmiths. Our Zetland locksmiths have over nine years’ experience in the field and within the local area. In fact, we are so confident that you’ll be more than happy with our service, we provide an amazing 18-month guarantee with all the services we provide. 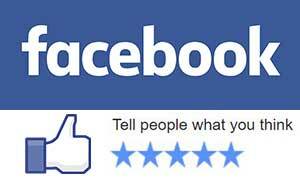 We have that much faith in our services and so should you! We have your best interests at heart, and because of this, we know how to provide you with the very best service for your needs. We are totally customer focused, and we want to give you peace of mind with all of your security needs. 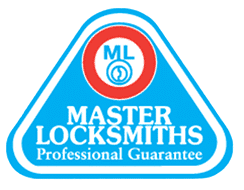 No matter what you need, our local Zetland locksmiths will be there to provide you with a service accompanied by a smile. If you have any security concerns about your Zetland property, give us a call now. Our master locksmiths are waiting to take your call and evaluate your security needs.